Are you cold? Like I’m pretty sure I’ll never be warm again cold? Is there absolutely nothing that could get you to venture outside in this weather? 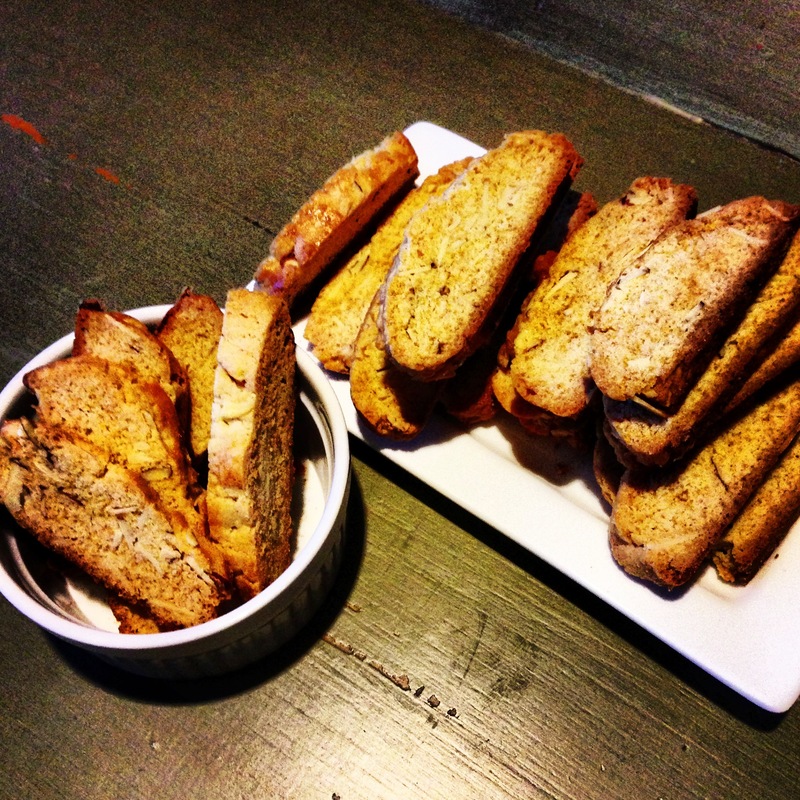 Hibernate in your apartment, make these biscotti’s and consume with a hot beverage. Ever so slightly sweet, perfect crunch and a solid depth of flavor with almond, vanilla, and orange liqueur. Ready: go. Sift together flour, baking powder and salt. In a separate bowl mix together sugar, melted butter, eggs, vanilla extract, orange liqueur and zest. Add dry ingredients to this mixture and stir with a wooden spoon. 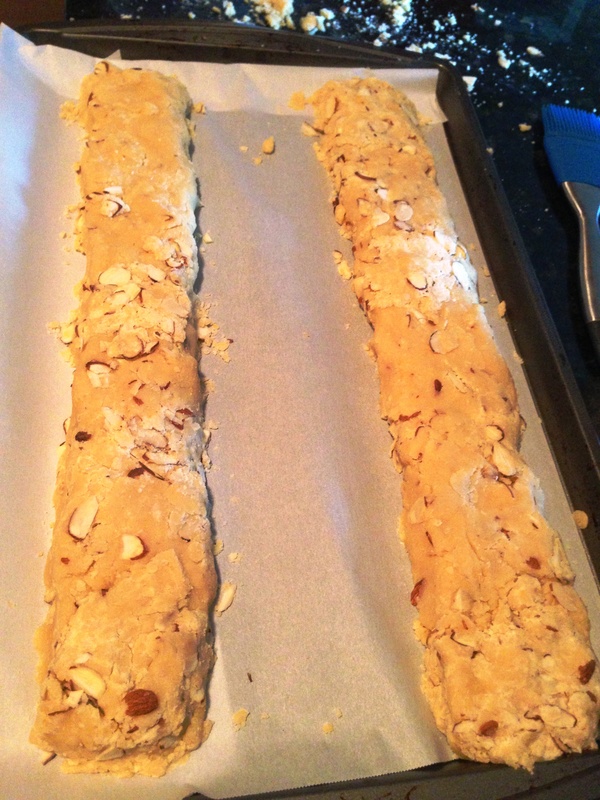 Mix in almonds. Take half the dough and shape into a log. Just do the best you can. 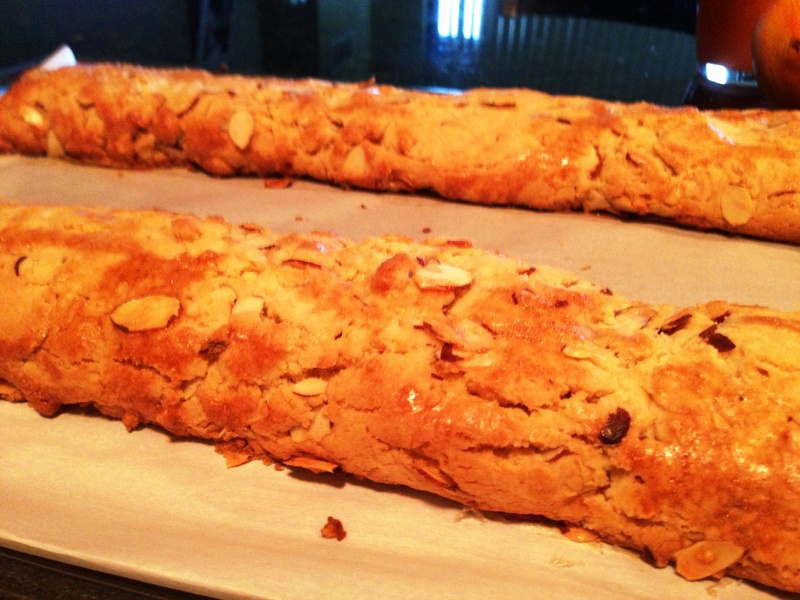 Keep in mind the shape you want your biscotti to be (mind were shorter in length than an average biscotti). Repeat with remaining dough. Transfer logs to a baking sheet lined with parchment paper. Whisk egg white in small bowl and brush over each log. Bake at 350 for 30 minutes. Let cool completely. 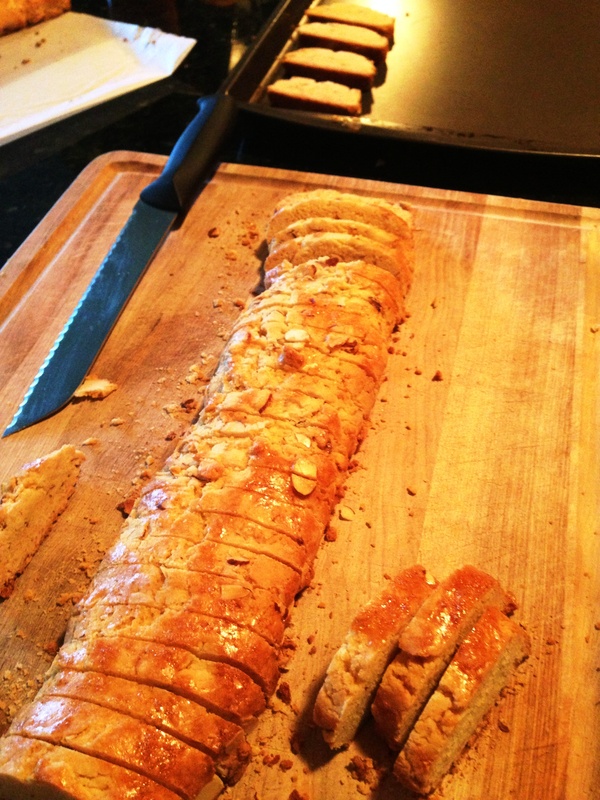 Using a bread knife, cut logs into 0.5 inch-wide slices. Arrange, cut side down, on baking sheet. Bake for 11 minutes at 350. 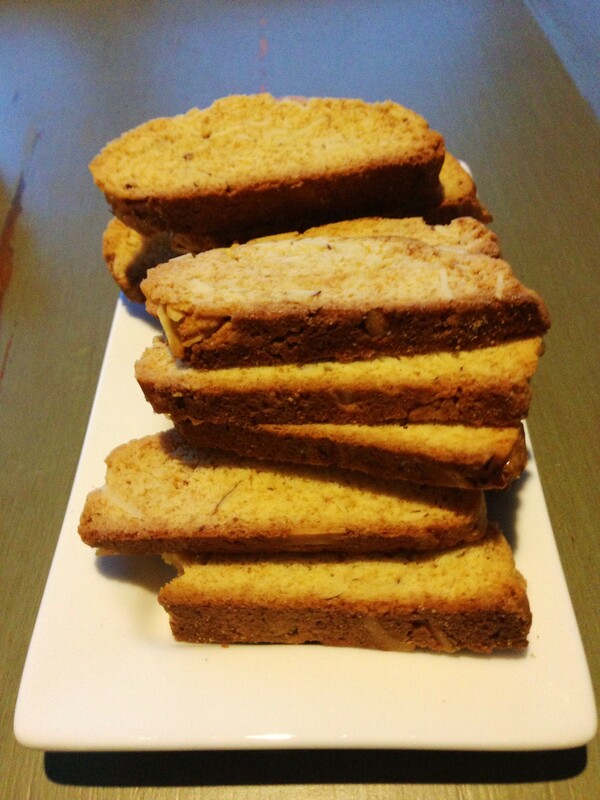 Flip biscotti and bake for an additional 7 minutes until they just begin to brown. Will keep for a few weeks in an air tight container. Hopefully by then it will be above 0 degrees outside and you won’t need them quite so badly.